[POLL] Taeyeon vs IU: Who is the best k-pop female solo singer? Who is your favorite k-pop female solo singer? Who do you think is the best? Well, there can be many different voices, but one thing is certain, Taeyeon and IU are two of the strongest candidates for the best k-pop female solo singer. Since she released her first ever solo album in 2015, Taeyeon has been on a roll as a solo singer. Whenever she released her solo songs, she topped a variety of online music charts, proving she's very competitive not only as a member of Girls' Generation but also as a solo singer. A notable thing about Taeyeon is she has successfully changed from "Taeyeon of Girls' Generation" to "solo singer Taeyeon", while it is also notable she still maintains strong popularity even though it has been about 10 years since she debuted. Taeyeon's strength lies in her great singing ability. She has good basic skills and a powerful voice. And she is good at singing high-pitched tones too. There are few k-pop female idols who can cover as various genres of music as Taeyeon. If Taeyeon is the best vocalist among k-pop female idols, IU is the best musician among k-pop female singers in their 20s. 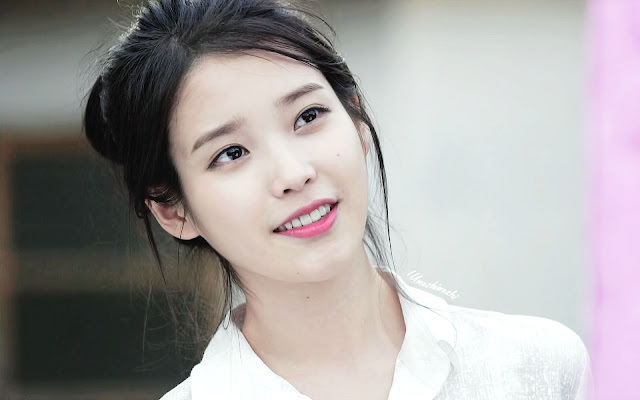 A notable thing about IU is that she's not only good at singing but also great at writing songs. Her strength lies in her great musicality. As a song writer, she writes songs which evoke sympathy from people of many different age groups. And as a singer, she focuses on delivering her song's message by singing beautiful lyrics in a calm manner, instead of just showing off her singing ability. And she has very attractive and unique voice too. Unlike most of young k-pop singers who are just good at dance or hip hop music, she can cover a variety of genres from folk to dance music. So, who do you think is the best k-pop female solo singer? Taeyeon or IU?